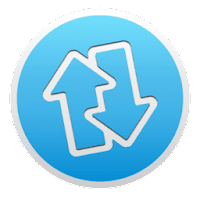 MediaHuman Audio Converter is a free audio conversion program for Windows and Mac OS X, that help you to convert music to the most popular audio formats: WMA, MP3, WAV, AAC, OGG, FLAC, AIFF or the Apple Lossless Format. by using the latest versions of audio codecs, it guarantees the best quality of output sound. Disclaimer: Direct downloads for the lastest version of MediaHuman Audio Converter 1.9.6.4 are provided by the official software's author, we can't guarantee safety, availability or download speed. Moreover, we don't and we won't provide any pirated/illegal versions or tools. We recommend you to avoid it as these methods can harm your device. If you like the software, buy it to support the developers. (We provide software discounts for many worldwide brands).